Do you want the good news or the bad news first? Okay, bad. A rando drunk person tried to take over kickball on Thursday! I know, some of you are probably texting your friends asking exactly what happened on Thursday, but unless your master plans included calling the president to protest (Amanda Bynes, is that you?) and stealing a bunch of watches, I don't think it was you. Thank goodness for the Kicklord Johnson stepping up to the plate (get it? kickball reference) and protecting all his subjects from chaos and thievery. But that's not the bad news. Due to the disturbance, cold weather, and this girl being in high demand to fill in for missing ladies from other teams, the original Jell-O shot plan got mildly derailed. The good news you ask? 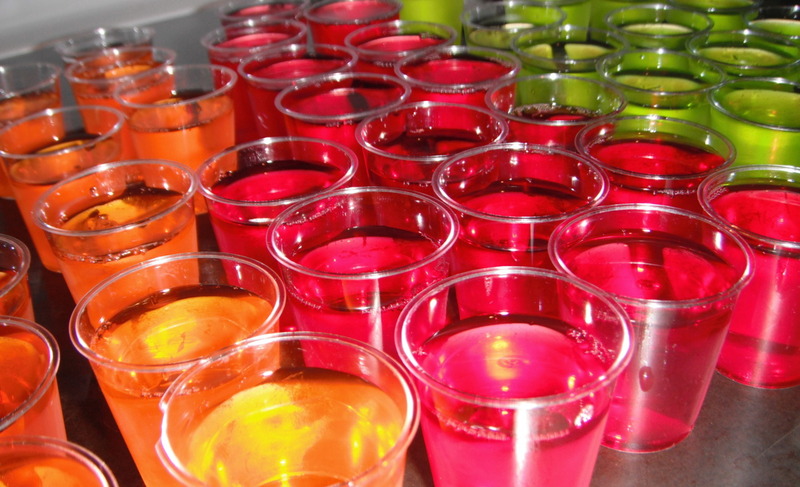 The Chairty Chairs will have Jell-O shots for sale this week! It's supposed to be nearly 80 (finally, no?) and I sure can't think of anything that quenches your thirst more than a Jell-O shot! So as always, bring dollars to the field, and let's celebrate the actual start of Spring League! Woo! Warm weather and shots for a dolla, holla!